Auto Trail’s sumptuously-appointed 2012 Tracker will be a hit with aesthetes, but its defining feature is the power plant crammed under the bonnet – a 180hp beauty that makes short work of New Zealand’s winding, undulating topography. Lawrence Schäffler reports. 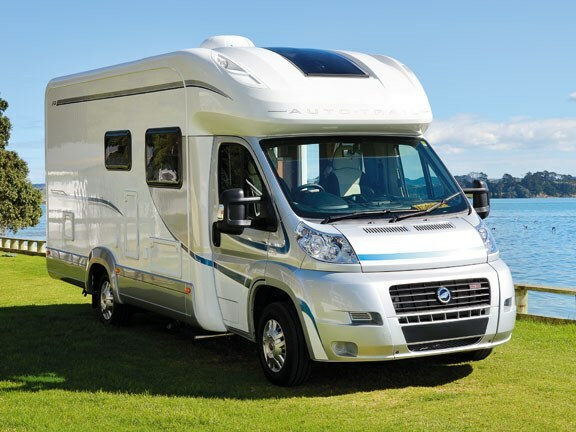 The popular, UK-manufactured Auto Trail range is distributed in New Zealand by Drury-based Auckland Motorhomes. The company imports an extensive selection, with the mid-sized Tracker aimed squarely at couples or small families. 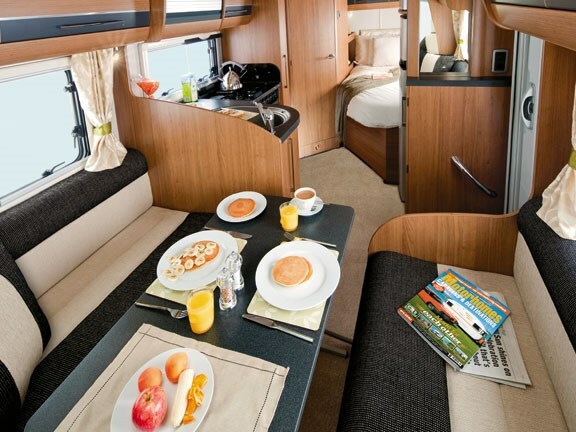 As with most models in the Auto Trail range, the Tracker's available in three variations: Hi-Line, Lo-Line and Super Lo-Line. The difference is in the height of the body over the cab. Hi-Line models come with an additional, over-cab double bed: Lo-Line and Super Lo-Line models sacrifice this for a much sleeker aerodynamic profile, with obvious benefits in handling and fuel-efficiency. Our review vehicle is the fixed bed (new for 2012) Super Lo-Line version. It's perfectly set up for a couple, but if necessary the twin bench seats up front can be unfolded to create a second double bed. Many enhancements are evident in the 2012 model, and I'll get to them in a minute. First, though, I need to draw your attention to the engine. All Auto Trail models are built on Fiat's front-wheel-drive, wide-track Ducato chassis, renowned for its stability and handling. Tracker buyers have a choice of three engines – the MultiJet 130, 150 and 180hp models. All are the latest Euro 5 derivatives – they meet the newest (and most stringent) emissions standards. This not only makes them more environmentally-friendly but also more fuel-efficient than their predecessors. The owner of our review vehicle opted for the 180hp engine, and what a pleasure it is to drive. I'm sure its smaller cousins are perfectly adequate, but this one (three-litre, four cylinder) provides effortless cruising. It develops a mighty 400Nm of torque at 3500rpm, although you're unlikely to ever test those limits. Mated to a six-speed Comformatic (automatic) transmission, the engine purrs along without working up a sweat – eating up the hills without complaint. In sixth gear it cruises at 100km/h with the tacho showing a smidgen over 2000 rpm. That sense of effortlessness translates into a car-like driving experience: there's no need to 'manhandle' the vehicle. High torque and low rpm provide a fuel efficiency of around 9.5 litres per 100km – and a generous range from the 90-litre fuel tank. 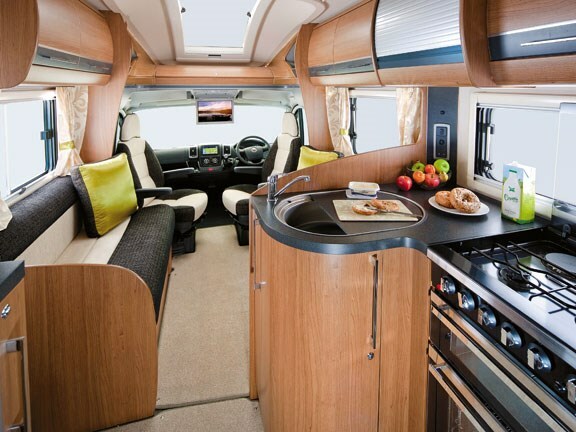 The standard of Auto Trail's workmanship and fitted equipment are well-documented, and the 2012 Tracker adds to the reputation. It's a tightly-constructed vehicle, free of rattles and squeaks. Other than an overhaul of the electrical system once the vehicles have landed (configured to New Zealand specifications), the stock-standard Tracker FB presents with plenty of high-end furnishing, clever design and scrupulous attention to detail. I particularly enjoyed the large, panoramic sunroof (only available on the Super Lo-Line variant) above the cab – it promotes the sense of airy spaciousness. If the overhead sun is too intense, the built-in shade is easily deployed. Standard FB layout has the bed at the rear with an en suite alongside. The bed's lower end is tapered to facilitate access to the bathroom, and while it's probably fine for those of average height, taller couples might find themselves arguing over foot space. The bathroom's roomy and stylish (very cool LED lights backlighting the mirror) with the shower's separated from the toilet/vanity by bi-fold doors. Masses of overhead lockers (as well as a hanging locker) in the bedroom ensure you won't run out of storage space. But if you do, the bed hinges up to reveal a vast locker – one that's also accessed from an outside side door. Low-energy LEDs are installed throughout (all dimmable), and the strip lighting recessed behind the ceiling panels is particularly effective – it create a warm, cosy ambience. Twin 110 amp-hour batteries keep the electrics alive. Gourmets will find the kitchen receptive to their creative juices – good working space and expansive lockers/drawers complemented by a 170-litre (three-way) Dometic fridge/freezer and a gas hob/oven/grill. The tracker carries two gas bottles: a 9kg and 4.5kg. Smart thinking with the gas hob – it's a four-plate model, but one is electric. So it becomes the obvious choice when you're plugged into campsite power. 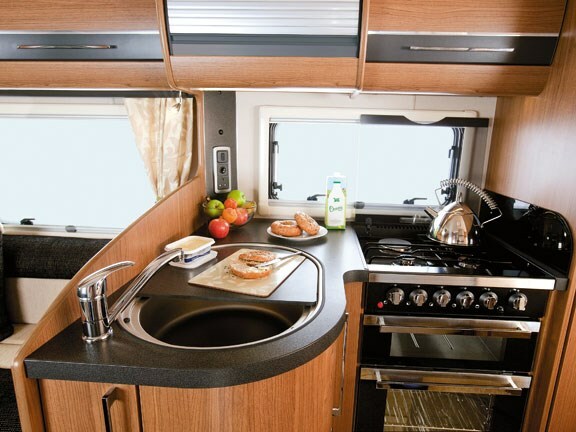 There isn't a microwave oven (nor an inverter) – but both can be fitted as optional extras. Hard-wearing but stylish fabrics and carpets offset the cabinetry's warm tones, and the sense of space is enhanced by the walk-through lounge area. I much prefer this arrangement to a centre, fixed table with drop leafs – it 'flows' better. The fold-up table (it lives in a slim-line, purpose-designed locker near the door) is quickly deployed for meals, and also does duty for al fresco dining on balmy evenings. There is also a small, round pedestal table mounted against one of the settees. It has a swivel base and remains out of the way until needed. That Fiat's Ducato chassis/engine is one of the most-widely used among motorhome manufacturers all over the world is no accident – the engineering and reliability is complemented by an ergonomically efficient cab layout. Quick-to-read instrumentation, controls within easy reach and more options for controlling the temperature, air flow, music, and seat shape than you ever likely to use. 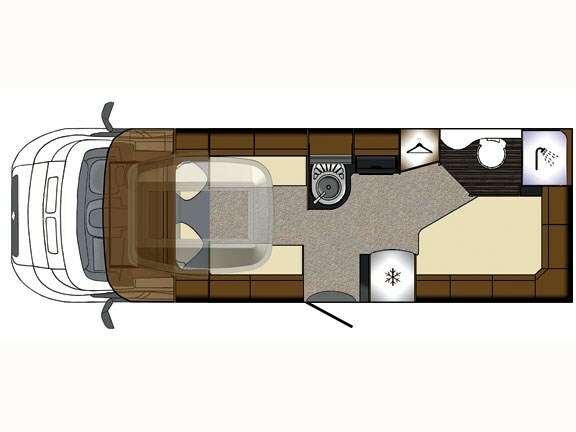 Driver and passenger seats rotate and become part of the lounge when entertaining guests. A very classy piece of engineering is the centrally-mounted 7" touch screen. It displays the view from the reversing camera as well as GPS directions. But touch a button on the right and it flicks up to reveal the CD/DVD player and radio. This touch screen is provided as part of Auto Trail's Media Pack option. In effect, it's an entertainment/navigation system in one. The DVD player is connected to a drop-down 15" LCD monitor (discretely hidden in the cab roof). The satellite receiver (standard) is mounted on the roof. In addition to the features already mentioned, the Media Pack brings Bluetooth telephone connectivity, and SD card reader and an AUX/MP3 input jack – there's no excuse for not embracing the digital world. 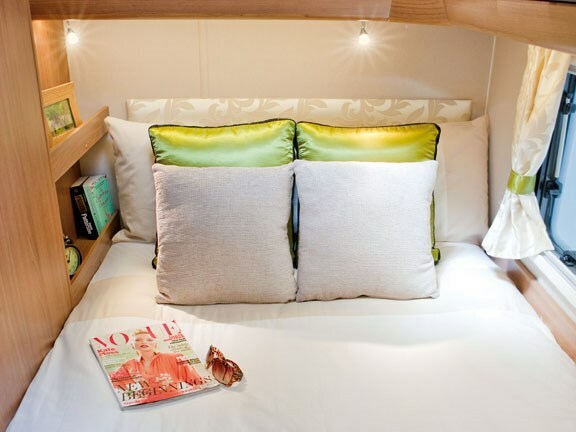 The drop-down screen will be a little difficult to view from the bed, so there is provision for a separate screen mounted on the bulkhead at the foot of the bed. Despite standard Ducato livery up front, Auto Trail has done fine job of equipping the body with a little distinctiveness. Check out the rear-view tail lights – very stylish – and I really like the easy access to the spare wheel on the back. Additional, practical features include outdoor shower and barbecue points. The vehicle is fitted with a recessed (wind-out) awning, and a clever feature is the Thule step which automatically retracts as soon as your start the engine. No danger of decapitating an inquisitive hare on the side of the road. It's difficult not to like the Tracker – it feels warm, welcoming and cosy, and it's equipped with top-class fittings. Best of all, it drives like a dream and will quickly encourage you to expand your touring aspirations. 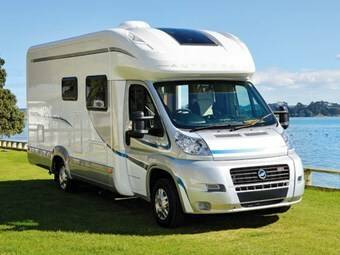 For more information contact Kylie Munro, Auckland Motorhomes, ph 09 294 6500 or email kylie@aucklandmotorhomes.co.nz.